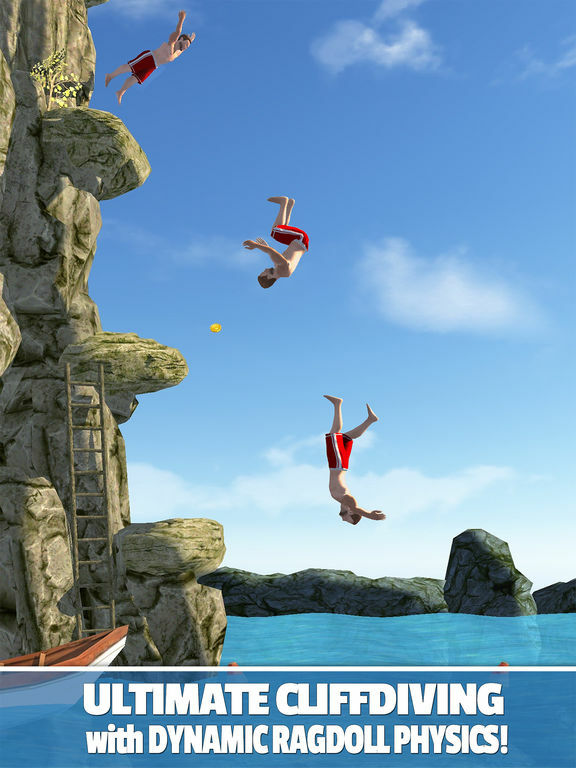 In the shoes of a vaulter, Diver, a regular guy with no formal training, the game allows us to create spins forward, backward turns and other tricks as we fall into the water. To do this we have to jump from a rock or other elements into the sea, he catching imposed from that point. The gameplay is simple, holding down the left mouse button we catch momentum and drop, your character will jump from its position, then we keep pressing the same button to rotate and try to fall head or right angle with your feet, catching passing the coins in the air. It is important to complete the entry into the water the right way to progress and so in the next hop can opt to greater heights and make more somersaults. The collected coins can be exchanged for movements. We started jumping off a cliff four different heights and as the Diver, but Flip Diving invites us to get new places from which to carry out our stunts, such as a lighthouse or a pool of a millionaire, even a castle, any site is good to practice our ability showing that we are the kings of the dive. We also have the possibility of getting crazier other jumpers, such as a businessperson, a basketball player or Big Dave, among many others. Do not miss any special dives each unlockable characters. 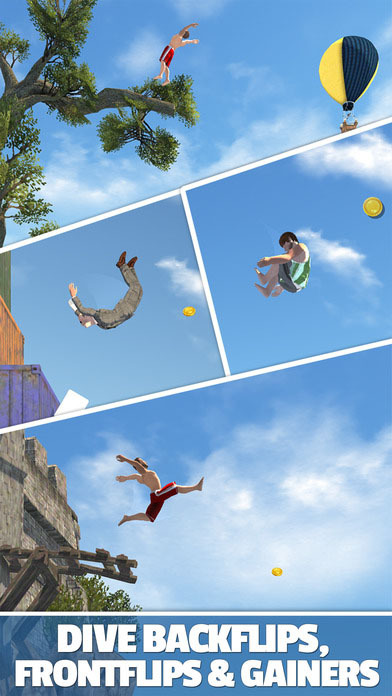 Unlike other titles that have invited us to try, Flip Diving is notable for its visual appearance, its mechanics is fast and fun but its physics system makes it more striking than other browser games. The design of the scenarios, the volume of the characters and the movement of water are aspects that are appreciated in a game of this nature.